Twins Geek: What To Expect From Tsuyoshi Nichioka? What To Expect From Tsuyoshi Nichioka? Nick was kind enough to put in a little overtime this weekend, covering that the Twins have secured exclusive negotiating rights with Japanese middle infielder Tsuyoshi Nishioka with a $5.5M bid. It's important to know that this doesn't mean that Nishioka is going to be a Twins next year. The Twins still need to sign Nishioka, and almost half of the Japanese players who are posted end up not signing with the team that signed them. So far, that includes the most recent posting, pitcher Hisashi Iwakuma, who seems to be at an impasse with the Oakland A's. So what will it take to sign Nishioka? So far, there haven't been any public salary demands, but history might give us some hint. I can only find one Japanese player who was won with a posting fee around $5M and who signed with a major league team. He also happens to have been a middle infielder that jumped to the majors when he was fairly young. And, maybe not coincidentally, the Twins nearly acquired him last year. That player is Akinori Iwamura, who lasted four years in the majors, but is probably at the end of his MLB career. From 2007 through 2009, Iwamura played primarily third base and second base for the Tampa Bay Rays before he was traded to the Pirates last year. The Twins thought they had acquired him, going so far as to open up a 40-man roster spot and notify players that were included in the trade. But the Rays ended up choosing the Pirates, the Twins ended up trading for JJ Hardy, and Iwamura and his injured knee had a terrible season in Pittsburgh and Oakland. However, for the first three years of that contract, Iwamura was a solid contributor, if unspectacular. He hit .281, but got on base at a .354 clip, above the league average. Defensive metrics showed him being average at second base, and a little above average at third base. He was left-handed, he cut down on his strikeouts compared to Japan, and provided a little speed, averaging about 10 stolen bases over those three years. In short, he was a enviable #2 hitter. With the imminent departure of Orlando Hudson, that's something the Twins could really use, so I wondered how Nishioka compared to Iwamura. And almost across the board, it's good news. First, Nishioka is younger. Iwamura was 28 when he played in his first year in the majors, while Nishioka will only be 26. That also means the Twins have the rare opportunity to add a Japanese player who is entering the prime years of his career. Nishioka also looks like he's a better contact hitter than Iwamura was. Iwamura was always good at working a walk, but he also struck out 300 times in his last two years in the Japan Pacific League (JPL). Nishioka hasn't been quite as proficient at drawing walks, but he's also struck out less than half as much. That sounds like a pretty good trait for a #2 hitter. Nishioka is also quite a bit more aggressive on the bases. Iwamura consistently swiped about 10 SB per year, both in the JPL and with the Rays. Nishioka has averaged 25 stolen bases over the last five years. Again, that looks like a good guy to have at the top of the order. At least anecdotally, Nishioka seems to be better defensively. 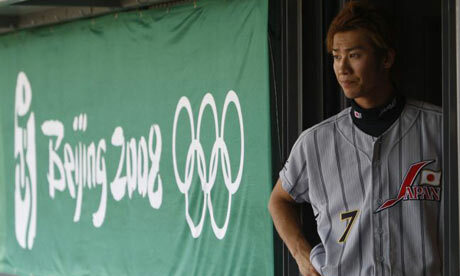 Nishioka has won two gold gloves in the JPL, one of which was at shortstop. As far as I can tell, Iwamura never had that kind of reputation. Finally, Nishioka's skill set seems to translate better to the major leagues. Iwamura was revered in the JPL in part because he was a home run hitter (which also explains his high strikeout rate). In the majors, he hit all of 14 big flys over those three years. Nishioka's skill set is based more on speed and small ball, similar to Ichiro. But back to the original reason I looked up Iwamura - how much did he sign for? He signed a 3-year deal for $7.7M, which ended up costing the team about $4M per year if you include the posting fee. That sounds reasonable, especially because it include a fourth year team option. Opinions differ on what would happen if the Twins sign Nishioka. Many believe his defensive skills play better at second base, and so the Twins might retain Hardy. And that's a fine idea, if the team has money for both. I don't think they do, so I predict it will mean Hardy ends up being traded. The Nishioka signing would allow them to replace Hardy with more speed, replace Hudson at #2 in the order AND save them some money. Then either Nishioka or Alexi Casilla would end up playing shortstop. Which is one of two concerns I have about this development. Will manager Ron Gardenhire be able to entrust shortstop to either Casilla or Nishioka? In the past, Gardenhire has seemingly placed as much importance on attitude as ability at that position. I can't believe he would ever trust Casilla there, and I wonder how much he could trust a Japanese player, especially if he doesn’t have a great command of english. (I haven't been able to find out well Nishioka speaks english.) Would Gardy be able to help himself, especially if Nick Punto or Matt Tolbert are languishing on the bench? The other big concern about Nishioka is his health. He's battled injuries his entire JPL career, including a serious knee injury. In fact, that's why his JPL manager Bobby Valentine moved him to shortstop: to protect his lower body. But if the Twins do end up investing about $4M per year for three years, that's an acceptable risk to take. (For that matter, at just 26 years old, I wouldn't be shocked to agree to a four-year or even a five-year deal.) Nishioka looks like a great fit for the Twins in both the short and long-term. And like last year's trade for Hardy, it gives them quite a bit of flexibility over the rest of the offseason. "In short, he was a [sic] enviable #2 hitter. The Twins already have the best No. 2 hitter on the planet, but they have him hit third. I'd offer Nishioka a three (and maybe a four) year contract, but nothing more. I feel that 5 years would be risking too much on a guy that hasn't every played in the majors, especially if he's been injury-prone. However, it sounds like he'd only sign for $3-5 million per year, which wouldn't be bad at all. Minor nit, but I don't believe Detroit plans on using Martinez at catcher. I also think it's time to back off from your notions about how much the Twins will spend next year. They've been ignoring all their old payroll rules over the past year, who's to say they stop now? "The Twins already have the best No. 2 hitter on the planet, but they have him hit third." You mean cleanup. Justin Morneau would make a great number two hitter. Mauer should lead off where he gets more at bats. I disagree with almost everything youve said here. "Right about now, some sabremetric 101 graduate is planning on pointing out to me that Nishioka's 67% stolen base percentage last year isn't really a benefit to a team. Maybe it isn't on a per run basis over the regular season. But in the playoffs, I want that weapon in my holster versus specific teams. " This is garbage. What weapon is it you want? The ability to steal bases at a below adequate rate? If an action costs the team runs in the regular season it will cost them in the playoffs. I know youre planning on the twins perhaps playing a team with a substandard catch and throw catcher, but that situation is so unlikely and ultimately insignificant. If we happen to make the playoffs, and happen to play a team with a bad catcher what does his average speed translate to in a 5 game series? 2 stolen bases? Maybe. That added value in the total picture is so insignificant it shouldn't even be considered. The issue that should be looked at is that hes a bad base stealer in japan, hell possibly be worse in the US, the fact that he does it at a high volume hurts his teams ability to score runs. "At least anecdotally, Nishioka seems to be better defensively. Nishioka has won two gold gloves in the JPL" Derek jeter has the 3rd most gold gloves all time, and this might be a worse assessment of fielding ability. Why dont we look at all the Japanese players that have been able to stick at premium defensive positions. None that i can think of. Kaz matsui was supposed to be a good fielder he couldnt stay at SS. Cubs thought fukudome could play CF, he couldnt. There might be gold glove related evidence that this guy is better than Aki, there a lot of reason be skeptical that hell be anywhere close to average at SS. I could go on but ill digress instead. This guy is a career 270 hitter with a career 700 ops. Hes had a huge year. While he might be 1-2 mil/yr cheaper than hudson or hardy i think hes very unlikely to be better than either. This guy could be the Japanese matt tolbert. You can hope hes the next ichiro, because hed have to be to project for much upside, but thats unlikely. A middle infield of casilla and nichioka could reasonably be 4 war worse than a hudson hardy middle infield and theres just about no chance theyre better. The offense scored a ton of runs last year despite playing in a pitcher ball park and getting bad years from almost all of their key hitters. The twins seem far to willing to score few runs and play worse defense simply to get faster. If they sign this guy and get rid of hardy it will make the twins a worse team. I also think it's time to back off from your notions about how much the Twins will spend next year. Thank you. Finally, somebody else calls Geek on his notion the Twins maxed out payroll in 2010, and have little room left in 2011. A little research is all it takes to come to that conclusion. My guess is Hardy plays SS in 2011, with Nishioka at 2b and Casilla the extra middle infielder. At least that's my hope. ...shud read...a little research is all it takes to come to the conclusion the Twins had payroll space left in 2010, and will have room to expand the payroll in 2011.
forgive me for asking a silly question, but if the Twins have $5.5 million to bid for this player than why can't we pay Hudson $5.5 to stay another year? I'm for it if they keep Hardy, but if they just swapped Hardy for Nishioka I don't see how that makes them a better team, except for the ~$2 million in extra salary. The big wild card is his health. He was great last year, and so-so the previous four. One explanation is that he was hurt until last year. If that's true, it could mean 1) he gets hurt a lot and is a bad risk, or 2) he's really good, and last year reflects his true talent, and if he stays healthy he just might keep getting better. The Twins have a pretty darn good track record of scouting other teams' players. So I'd say there's a real good chance he'll be better than Iwamura and turn out to be a steal. If he doesn't get hurt again. The Twins should do a little bit of research - especially the medical forensic kind - on Tsuyoshi Nishioka's health record. For one, before committing to him, insist on a thorough drug test - and look specifically for steroids and since it is off-season, masking agents as well. If some of his past injuries seem puzzling to those with medical backgrounds, then join the club. For example, his persistent "hamstring" injury that benched him in the Spring of 2009 was actually due to the fascia surrounding the muscle contracting painfully around the muscle. A common cause is dehydration which in turn is often a side-effect of careless steroid abuse. Nishioka was just getting started on the juice after having been introduced to its "magical properties" by new teammate Tadahito Iguchi who just came back from his stint in the US. Japan still maintains its naive position that their country is drug-free and therefore testing is unnecesary. The photographic evidence does not lie. Nishioka is by no means large, and scrawny when compared to US counterparts. However he has somehow beefed up considerably in the past two years without the benefit of an additional weight training regime or puberty. Ancient Japanese secret? More likely it's that "magical juice". And, some of the injuries he incurred were a product of his learning curve using the drug. The Twins ought to save their warbucks for someone who isn't going to implode once they get stateside. Nishioka is no Toyota -- he's a flaming Pinto.